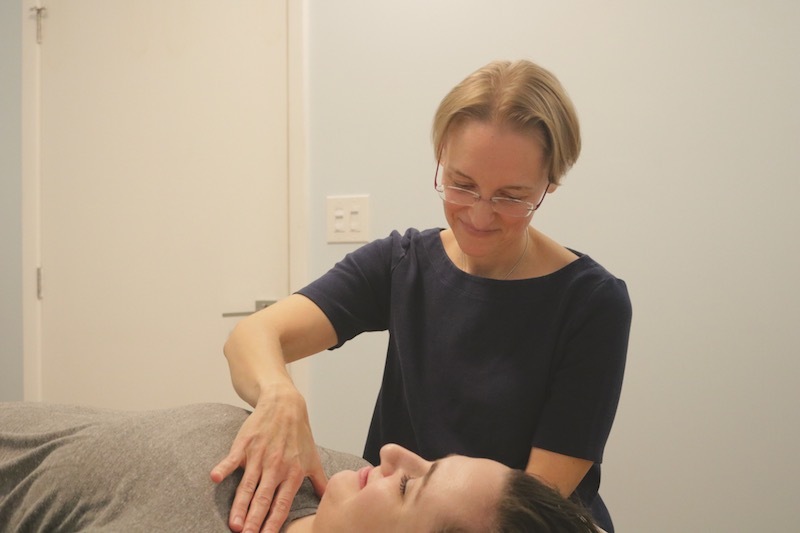 CranioSacral Therapy and Visceral Mobilization focus not solely on the site of pain or dysfunction, but evaluate and treat the entire body to find the source of the problem. 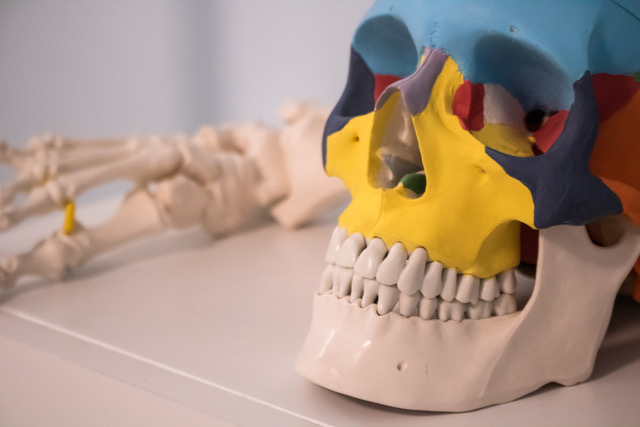 The CranioSacral system - the soft tissues & fluid that protect the brain and spinal cord - has a significant influence on the central nervous system which has immense impact on overall health & well-being. Visceral Manipulation aids the body’s ability to release restrictions and unhealthy compensations that cause pain and dysfunction. Visceral Manipulation re-establishes the body’s ability to adapt and restore itself to health by adjusting altered or decreased motion within the viscera, as well as restrictive patterns throughout the body. Our organs are very receptive to our feelings; when the brain receives negative emotions it sends tension to the related organ & visa versa. VM can break this cycle and restore emotional balance. Ursula treated me with great care and was gentle in her approach to my problems. She made sure I felt safe and was comfortable at all times during our sessions. With her help and guidance I was able to work through several issues using techniques that required sensitivity and mastery on her part. I am grateful for her level of education and training that allow her to treat me and others with great proficiency and skill. I’ve seen Ursula for multiple complaints over the years including headaches, back pain, digestive issues and low energy and think she is amazing. Ursula is unlike any other hands on therapist I’ve encountered. She has a deep intuition to sense where the source of my pain and symptoms are coming from and her hands are so sensitive they can detect the smallest changes in my body that may be causing me problems. After my sessions I always feel refreshed, clearer and better. I give her my highest recommendation! Adding CranioSacral Therapy has taken my recovery to the next level. Many years of dancing led to a major surgery of my ankle, which has kept me off the stage for years. After the surgery I had chronic pain in my ankle & foot which then led to chronic hip pain. Working with Ursula changed all that. Her ability to listen with her hands and find the places in my body that need attention is incredible. No matter what my problems are when I walk in, I always feel better in both body and spirit when I leave. Because of her and Elliot at KFMT (who I call my dream team) I’m actually about to perform again which my doctors had said would be impossible! Thanks to Ursula, I am more aware of my body and its needs than I ever was before. Ursula has shown me that the various aches and pains that my body experiences in the course of living are important communications that I should pay attention to. Each of these signals is an opportunity for me to learn more about myself and how my body works. Each “problem” is actually a chance to understand my body better. I feel very fortunate to have found a therapist as knowledgeable, patient, dedicated, and caring as Ursula. Ursula is incredible. She is one of the most gifted therapists I've ever worked with.